It’s a dream that many people have — to become a United States citizen. In order to make that dream come true, a Muskogee citizenship attorney can provide valuable assistance along the government’s path toward citizenship. The legal process can be a long and complicated one for naturalization and U.S citizenship, and that’s why having a citizenship attorney can help you or a family member get through the lengthy process. You don’t want to delay the process or make a mistake that could hurt your chances at becoming a naturalized citizen. If you or a loved one has a green card due to your legal resident status and are looking to begin the process towards citizenship, you can contact a citizenship attorney at the Wirth Law Office – Muskogee office. Our naturalization attorney can assist with the citizenship process for children you might have adopted from another country as well. You’ll have to take an exam to demonstrate that you understand English by showing that you can read, write and speak. Plus, you’ll have to take an exam to show you understand basic principles of American government. 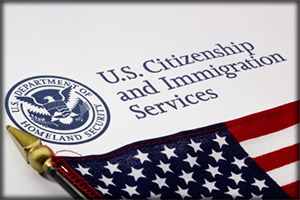 There are exceptions that one of our attorneys can advise you about as you begin the process to obtain citizenship. When to Apply For Citizenship? Legal permanent residents can apply for citizenship if they have resided in the U.S. for 5 years with no special circumstances. This category describes 90 percent of the applicants for naturalization. Married to a U.S. Citizen for 3 years (There are special requirements for this category). Enlisted military in the one of the U.S. military branches (If you’re currently stationed at one of Oklahoma’s six military bases including Tinker AFB or Fort Sill, our Muskogee office can be of assistance). Former military members that served during wartime and their spouses are also eligible. There are certain crimes that may be bars towards naturalization. The government says if you’ve been convicted of murder or an aggravated felony on or after November 29, 1990 it doesn’t show good moral character. Part of the citizenship requirement is that the person applying be of good moral character. There are other criminal offenses that could create problems for your naturalization process. A Muskogee citizenship attorney can carefully review your past to help answer any questions you might have over issues that could derail or delay the process. The Muskogee immigration attorney can help you explore options if naturalization and citizenship don’t appear to be the best path for long term residency in the United States. Contact a Muskogee citizenship attorney at the Wirth Law Office – Muskogee for a confidential consultation today at (918) 913-0725 or call toll-free at (888) 447-7262. If you prefer to contact the citizenship attorney by email, use the form at the top of this page.